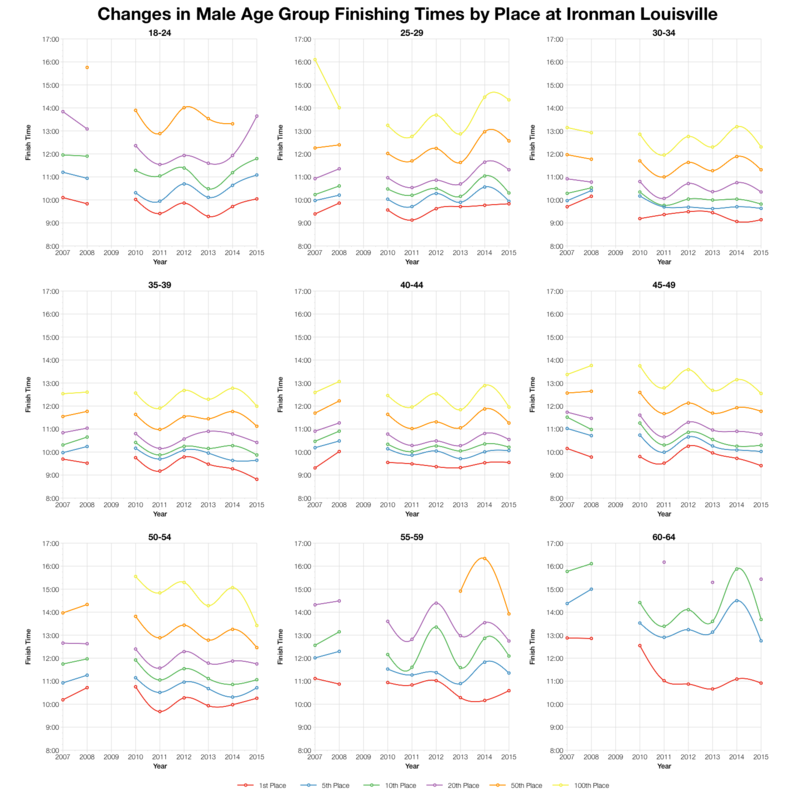 A change of date for Ironman Louisville has placed it in the shadow of the Ironman World Champs. Having run through results from Kona already it’s now Louisville’s turn. 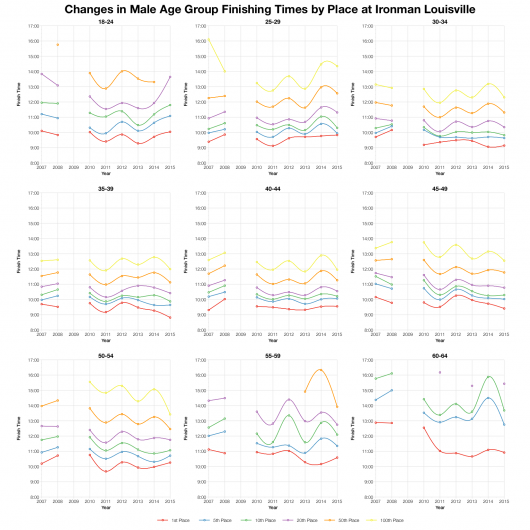 This year’s race, on average, was faster than previous events, but the front of pack appears to have trended slower. Perhaps the consequence of sharing the weekend with Kona? A thinning of the sharp end of the age group field at this event? Comparing this year’s split distributions with older results does show faster median splits on swim, run and overall. 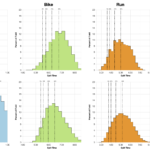 Only the bike trends slower than previous years, otherwise the field as a whole appears faster than usual. 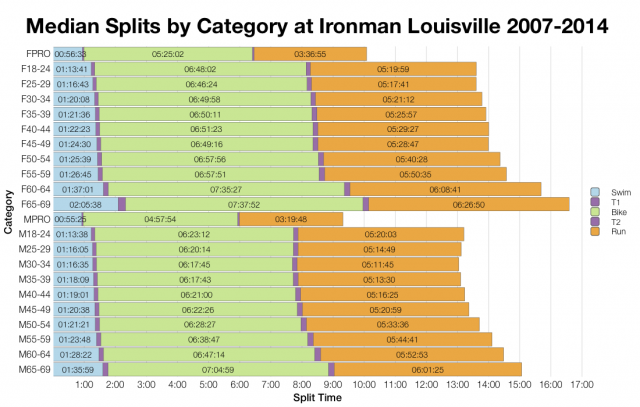 What is of note is the fact the top 5-10% of the field was slower on swim, bike and overall. Perhaps the loss of a pro field had an influence here, but we might also be seeing the impact of the shared weekend with Kona. In fairness the shift isn’t huge, but is at odds with the rest of the field. 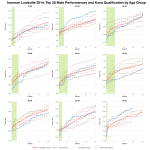 We see the same pattern when comparing age group medians: faster swim, slower bike and faster run. 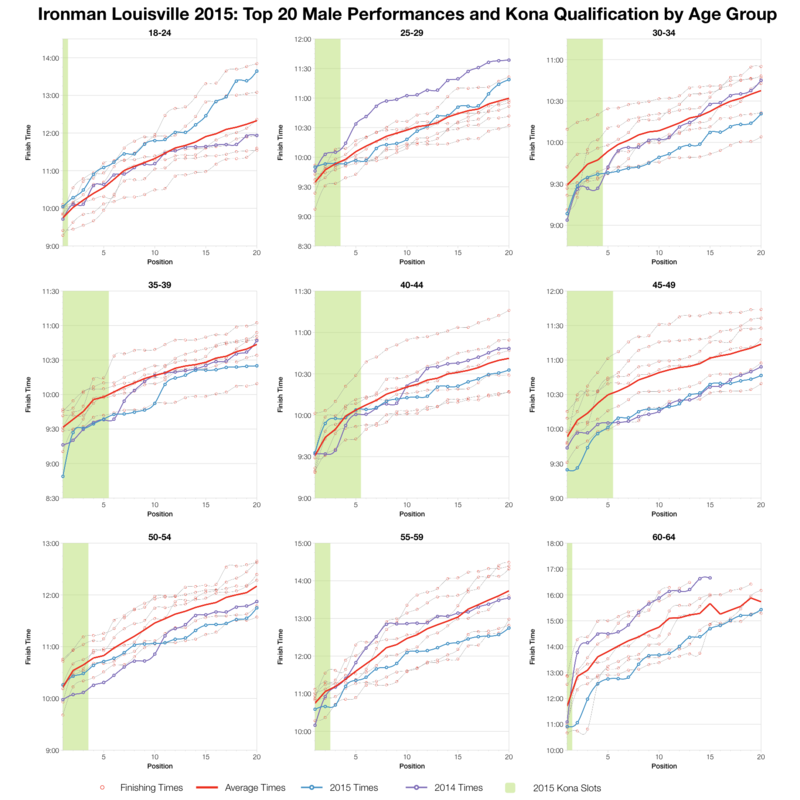 The biggest and most consistent differences come on the run with median splits 20-30 minutes faster for many age groups this year. That’s quite a significant change to see in results suggesting the run proved much more favourable. Looking at how times have changed for key positions over the last 8 years suggests that 2015 was one of the faster years. 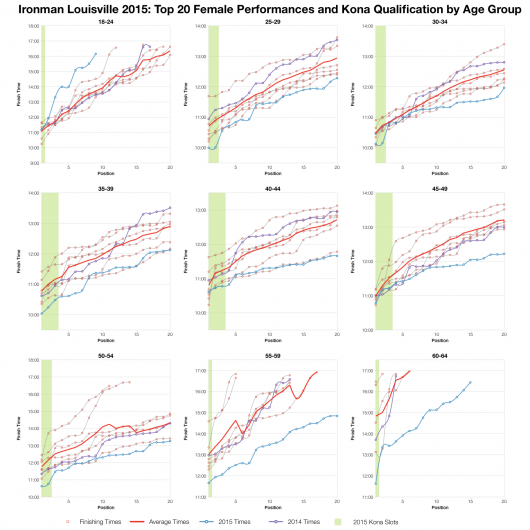 The shift varies with age group in place with this years results proving the fastest in some cases. That’s not universally the case, but as a general rule this year improved on the previous two. At the front of the race what we see depends on gender. For the women’s race most age groups are comfortably ahead of the race average in the top twenty. Some, in fact, are among the fastest times seen on the course. 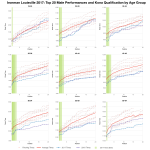 For the men’s race the top twenty times fall more closely in line with the averages with a few exceptions pulling ahead. In the end Louisville looks to have been a bit faster than usual, largely thanks to favourable swim and run times. The impact doesn’t appear to have been evenly spread across the field, but overall competition for Kona slots appears to be on par with previous years. 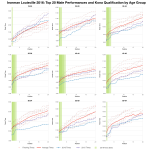 Sharing the weekend with Kona may have had some influence, but any impact was likely small – in late August you weren’t likely to see many Kona qualifiers anyway. Better times from the middle of the pack is where the real differences come. 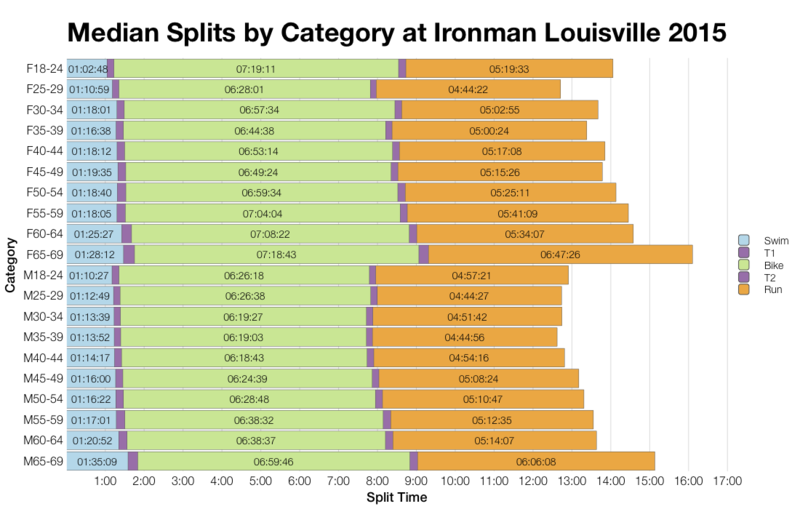 You can access a spreadsheet of the full results and splits from Ironman Louisville 2015 on my Google Drive.